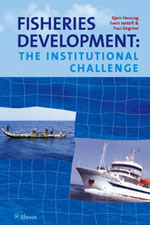 Fisheries development: the institutional challenge is the result of a long-term research programme on fisheries in developing countries. 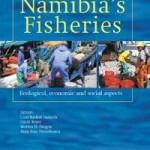 The book explains how fisheries development strategies changed over the years, from simple ideas of modernising the production equipment (boats and gear) to complex programmes involving management and institution building. 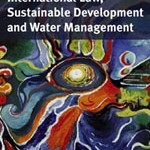 It highlights the role of the state and the community in resource management and the challenges offered by new concepts such as ecosystem management in a Third World setting. All coastal states have ambitions for the development of their fisheries. Not only do fisheries play an important role in sustaining peoples’ livelihoods, but also in many countries in the north and the south, fisheries are important for the national economy. Moreover, fisheries are part of the process of globalisation, which, for better or worse, means that fisheries issues and problems have implications that extend beyond the level of the nation state. Bjørn Hersoug and Svein Jentoft are both professors at the Norwegian College of Fishery Science, University of Tromsø, Norway. Paul Degnbol is Director of the Institute of Fisheries Management and Coastal Community Development (IFM), Hirtshals, Denmark. They have all worked with fisheries management and development in a number of developing countries in Africa, Asia and Latin America as well as in Europe and North America.